A cuisine experience at Lim Spring Court, it was delightful and wonderful, excellent and delicious cuisine. 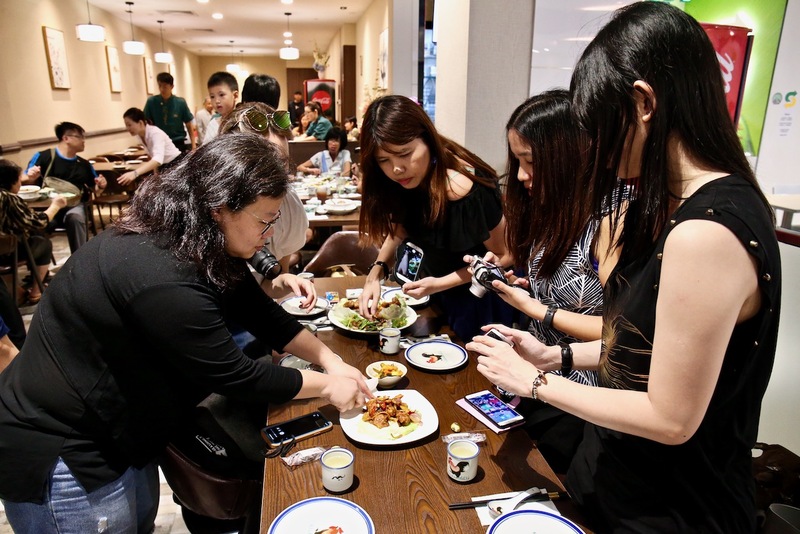 It all started with a WhatsApp group conversation that there is a new food place known as Lim Spring Court 林春苑, after some liaising and arrangement handled by the CK, the coordinator inside that group, we all gathered together on 10th November 2018 for a food tasting journey at Lim Spring Court. On this day, when we had our food tasting session, this was also the official opening ceremony for Lim Spring Court. 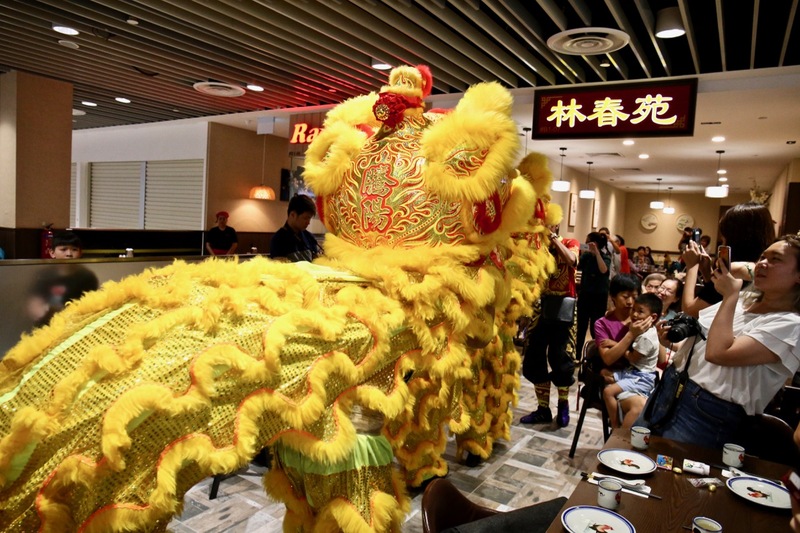 Guests were treated to a wonderful Lion Dance troupe performance, showering blessings and good luck to the restaurant. A number of guests inside the restaurant stopped their lunch time meals and proceed to the entrance for photography and video taking, everybody there were enthusiastic and excited! After the Lion Dance troupe performance was over, we returned to our table for the food tasting session to begin! 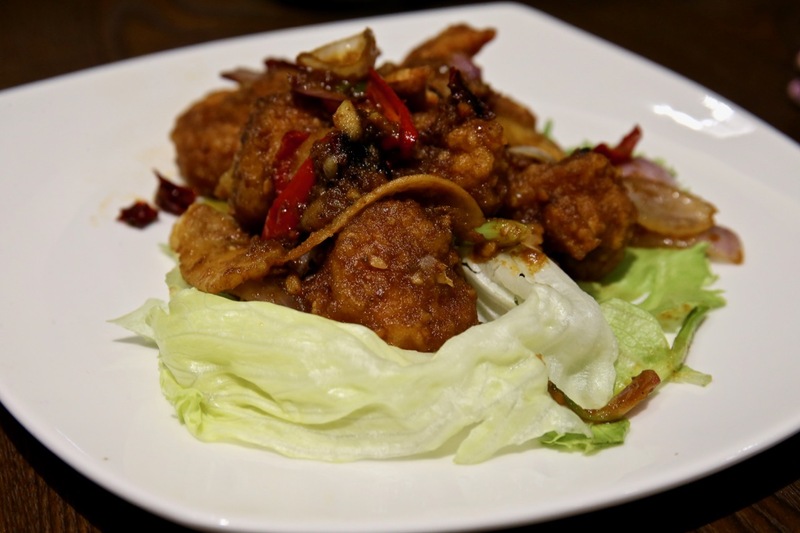 These three meat dishes are actually standalone dishes that can be ordered. They made this special tasting plate for us to sample them, they are very delicious! I like the Stir Fried Venison among these three different meat dishes! 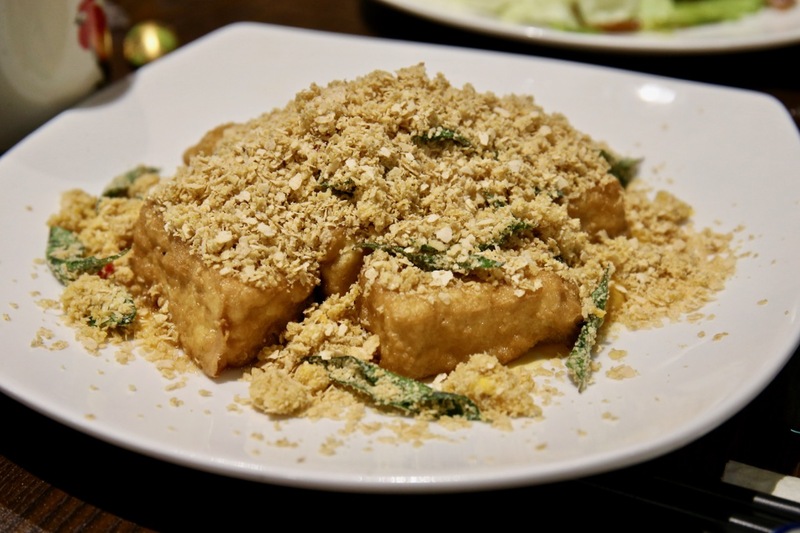 Homemade beancurd, soft, fine, smooth and delicious, coated with butter on the cereal and pumkin sauce below as the base. Soft and delicious, with a pretty interesting sauce on the prawns. 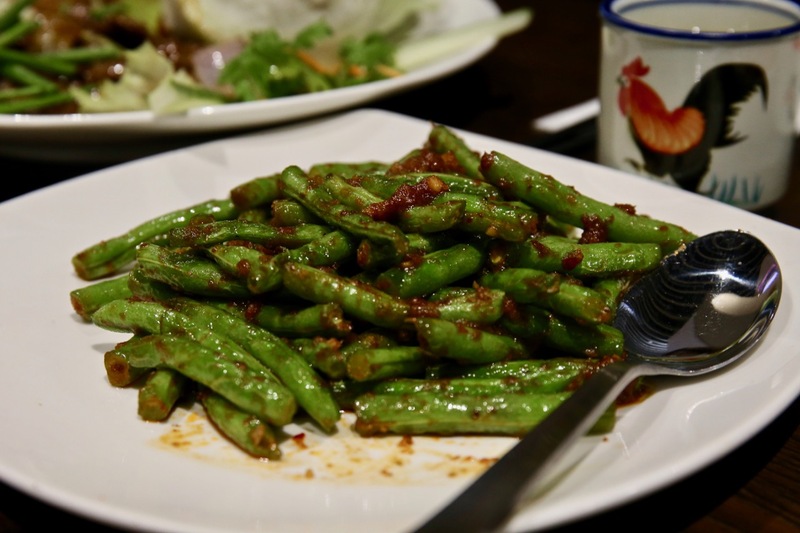 I am a fan of four season beans, not many food outlets cook with our local favourite Hae Bee Hiam (Dried Shrimps Spicy Sambal), just like your home cooked vegetable dishes with Hae Bee Hiam. 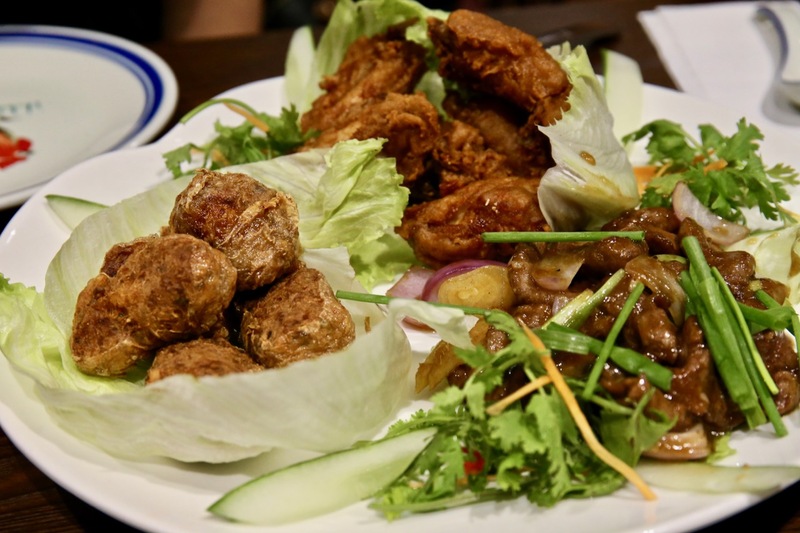 At Lim Spring Court, this is just part of the many dishes that are delicious home cooked style dishes! 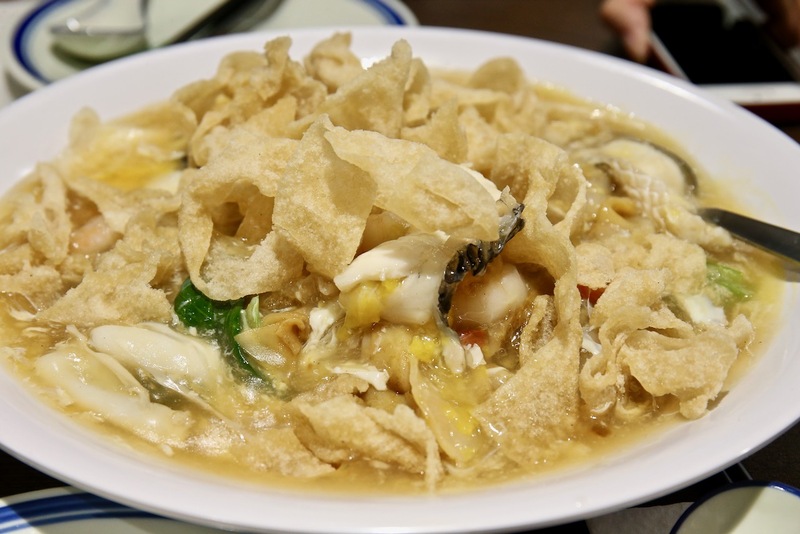 It’s been a long time for me to say that I had tasted a hor fun dish that I really love because of the food places that I went to, they weren’t able to match my standards. Lim Spring Court Hong Kong Style Two Ways Hor Fun is not only unique with its wet and dry portions, the Wok Hei is superb, you can feel, taste and smell it! The gravy stayed intact for some time, I am impressed since not like many other food outlets, their hor fun turn watery pretty quickly. Most food places (in my personal humble opinion) don’t use the fish tail portion as a dish. When I saw Lim Spring Court has a menu section dedicated to fish tail, that got me interested and excited. 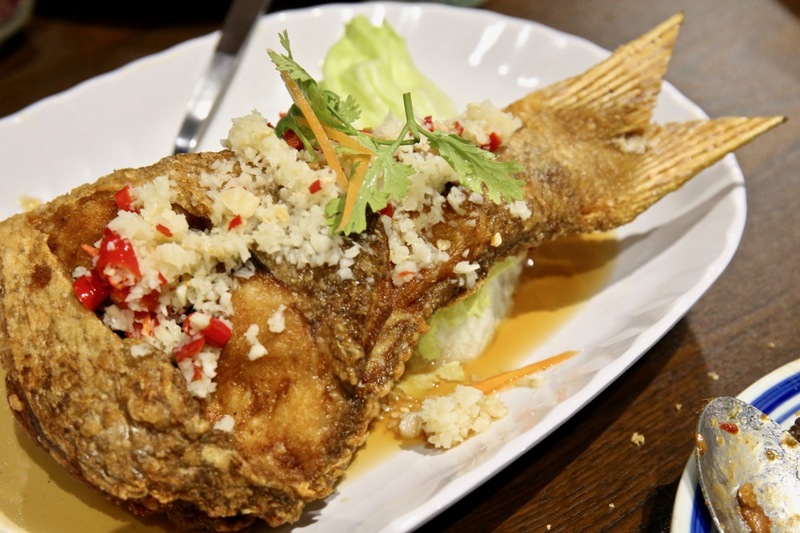 When the deep fried fish tail dish arrived, I was reminded of the Thai deep fried whole fish that I like a lot. Sprinkled with quite a lot of quality garlic, top notch chilli (it’s spicy!) and sauce. The fish that we had was fresh and sweet, this showed Lim Spring Court’s quality and standards for quality fresh ingredients. There are many other dishes available inside their menu and if you need some recommendations to start off, choose the above two that I personally like! 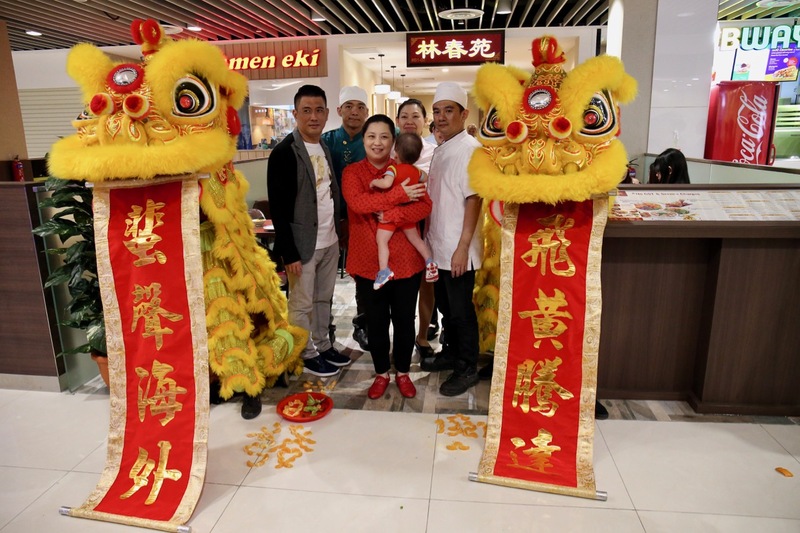 I would have to plan and make a return visit to Lim Spring Court, bringing my family and relatives, to taste their unique heartwarming and family feel, very delicious and heart warming “home cooked” cuisine, there are also a lot more other dishes that I am very keen to try out! Fresh quality ingredients, excellent cooking skills by the Chef, along with its own unique (and home feel) tastes! Oh yes, affordable prices with no GST and no service charge! I would like to thank Lim Spring Court for this food tasing invitation, very delicious and quality cuisine, hosting us with your warm hospitality and friendship, just like eating at home or a dinner gathering feel at a good friend’s home!